Injury Report: For the Raptors, Delon Wright is listed as questionable with a left adductor strain. Wright has not played in Toronto’s first three games of the season as he works his way back form the injury sustained during Toronto’s preseason victory against the Brooklyn Nets. The Hornets injury list is to be announced. Big road win: The Raptors will face the Hornets on the Scotiabank Arena court after taking care of business on the road, defeating the Washington Wizards 117-113 in a back-to-back on Saturday night. Toronto is now 3-0 to start the season, with its next three games at home. The Raptors are the only team in the NBA that will play five of its first six games at home this season. The last time Toronto started 3-0 was during the 2015-16 season where they started a franchise-best 5-0 to open the year. Familiar faces: Monday’s game will bring some familiar faces through Toronto. Danny Green and Kawhi Leonard will see former San Antonio Spurs teammate Tony Parker, who signed with Charlotte in the offseason after 17 seasons in San Antonio. Charlotte's head coach, James Borrego, also came to Charlotte this past offseason after previously serving as an assistant coach in San Antonio. Former Raptors big man Bismack Biyombo now plays for the Hornets, while Canadian Senior Men’s National Team head coach Jay Triano is an assistant with the Hornets as well. 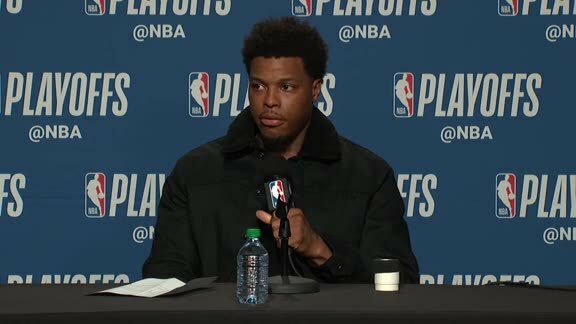 Lowry on fire: Kyle Lowry had another brilliant performance in Washington to continue the roll he’s been on to start the season. Toronto’s point guard led the way in Saturday’s road win, scoring 28 points to go with 12 assists, with 13 of his 28 coming in the final quarter as the Raptors pulled away. “He goes in those flurries and they’re at both ends,” Nick Nurse said. “He’ll get in a four-minute flurry, bang in a three, take a charge, dive on the floor, make a layup. When he’s in those, he’s good. That’s why he’s an All-Star.” In three games, Lowry has connected on a career-best 12 three-pointers and is averaging 23.3 points, 8.7 assists and 3.3 rebounds per contest. He has also been working on the defensive end of the floor and has already drawn four charges. Lineup switch up: Kawhi Leonard didn’t play in Saturday’s victory, as the Raptors rested him for the team’s third game in four nights. Though his absence meant an opening in the starting five, head coach Nick Nurse continued to tinker with the lineups, electing to start Norman Powell and OG Anunoby, as well as Jonas Valanciunas, alongside Kyle Lowry and Danny Green. Though Powell's box score line shows a modest seven points to go with five rebounds, the Raptors were a +20 when he was on the floor. Anunoby finished with 12 points, four rebounds, an assist and a steal in his 29 minutes. Coming up big: Serge Ibaka came off the bench on Saturday, but it didn’t make a difference in his effectiveness. After turning in a 21-point performance against the Boston Celtics on Friday in Toronto, Ibaka contributed another 16 points and nine rebounds in Saturday’s road victory over the Washington Wizards. 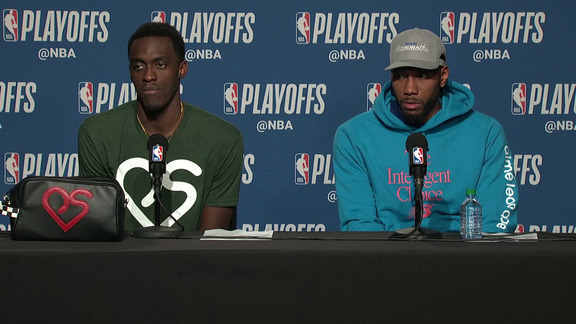 “He was excellent,” Nick Nurse said after Saturday’s game. “I think he’s had three good games, even the first night when he went 2-for-10 from the field, he [was effective]. He was rebounding, he was rim protecting.” Ibaka is averaging 15.3 points, 7.3 rebounds and 1.7 blocks in three games this season.